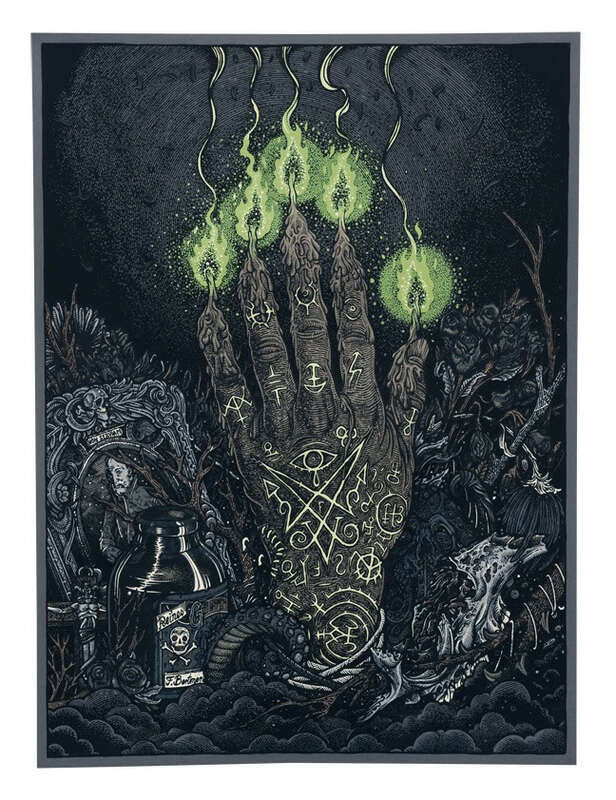 Posted on March 5, 2019 Leave a comment on Maze Rats is Deal of the Day! Maze Rats is Deal of the Day on DrivethruRPG! Get my best-selling OSR intro game for just $1.49! Today only! Maze Rats is an RPG and sandbox toolkit for old-school-style adventuring. 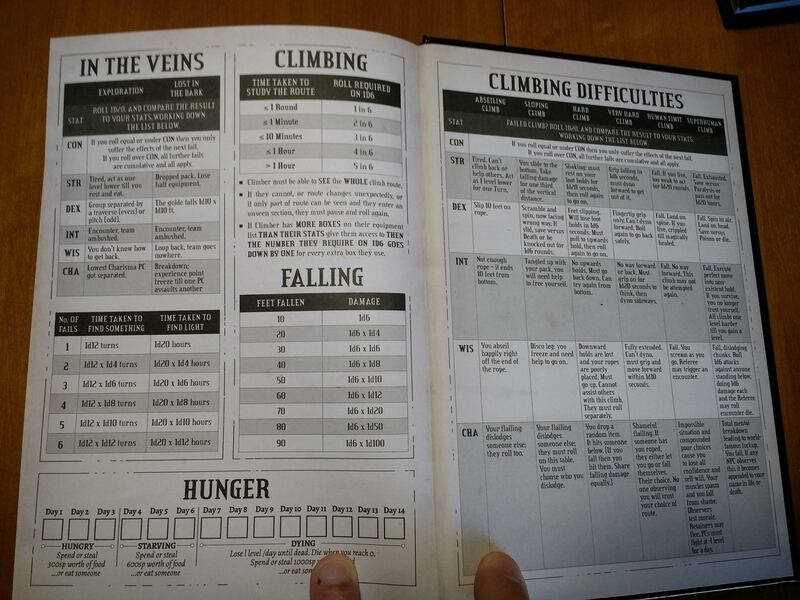 It contains a single, compact page of rules, a one-page character creation guide, a hand-drawn character sheet, and eight pages of 36-item random tables, rollable with two six-sided dice. 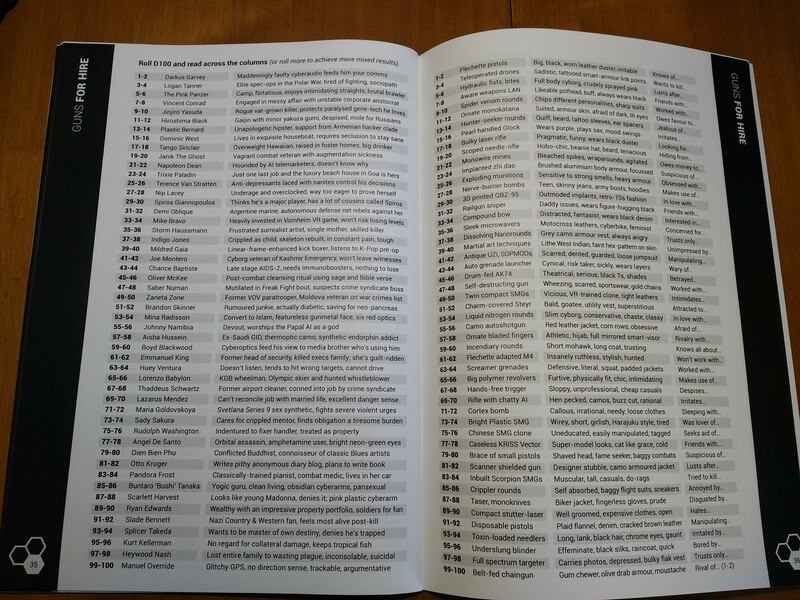 Each page contains 9-12 tables, covering spell generation, monster generation, NPCs, treasures, cities, wildernesses, and dungeons. If you run (or have always wanted to run) open sandbox adventures, Maze Rats offers everything you need in a compact, easily-referenced format. 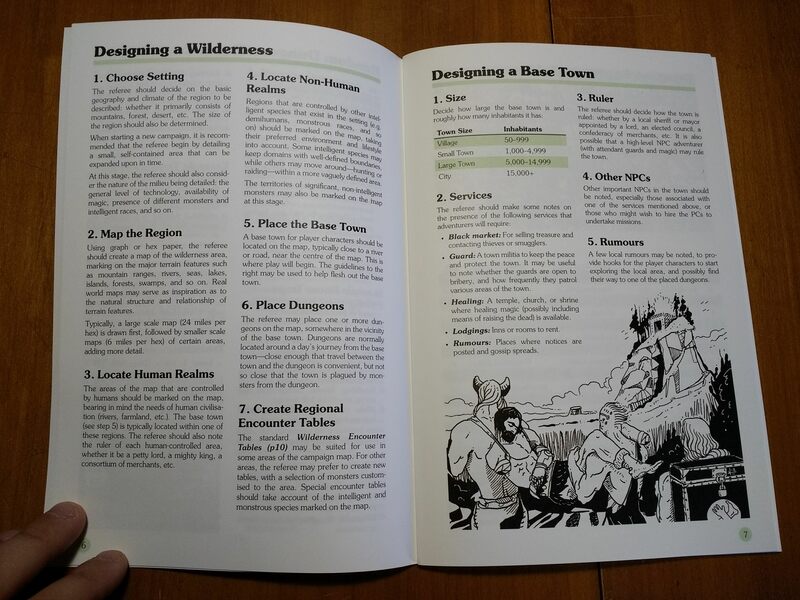 Also included is two pages of advice for preparing and running open-world games in the OSR style. The game system itself is 2d6 based. Character are extremely quick to generate, making it great for convention games, one-shots, or introducing new players. The game is highly lethal, and assumes a style of play where caution is essential to long-term survival. 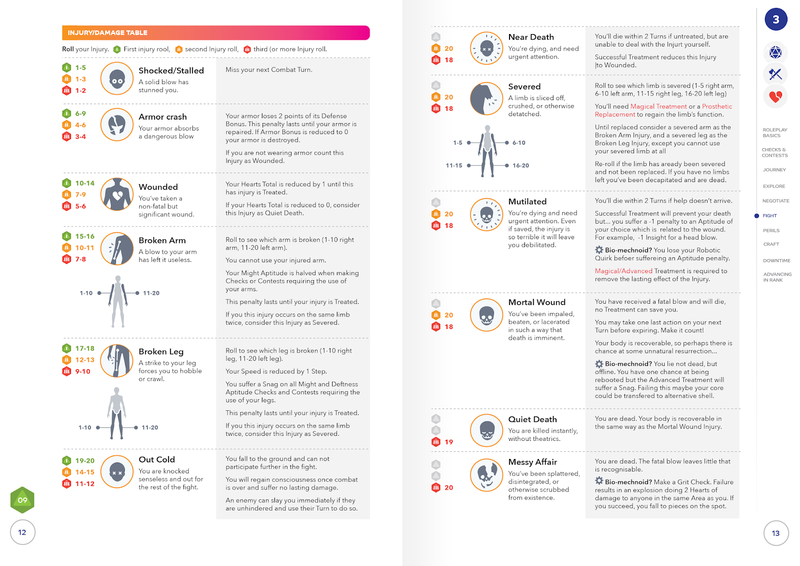 It is technically classless, but the leveling options allow players to specialize in fighting, thievery or wizardry or some mixture of the three. 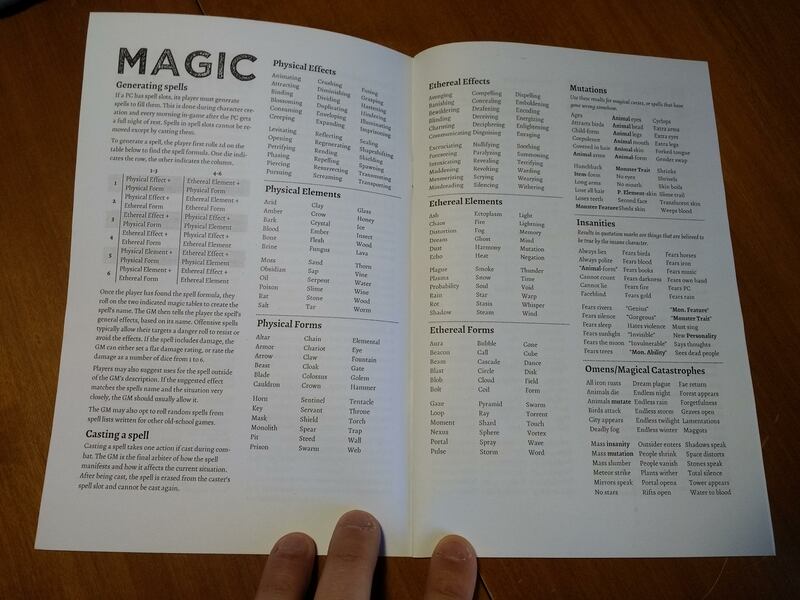 Magic is simple and chaotic, with new randomly-generated spells filling the magic-user’s head each night. Everything about the game is designed to be as clean, fast, and intuitive as possible, while driving players towards creative solutions rather than brute force (though brute force is always an option). I’m unlikely to be using MeWe much. It’s not terrible, but it’s basically G+ without that platform’s best features. Also, I’m very much enjoying the shift to the blogs. I’ve started using Inoreader to keep up with the OSR blogosphere. I plugged Ram’s OSR OPML into it and was set to go. I sorted the blogs into best and the rest, check in on the best every day, and skim the rest when I feel like it. It’s been incredibly freeing. The stuff I’m reading is as good as it ever was, it’s longer, more thoughtful, and by commenting on the post itself rather than on a separate platform the conversation stays focused and gets archived more permanently. It’s also motivated me to start writing posts in response to stuff I like, which is something I’ve never done before. To be honest, I’m enjoying this mode of discussion more than G+ in some ways. Also, the regular “OSR News” posts on Dreams of Mythic Fantasy keep you updated on everything you need to know. If I want to just chat casually about the OSR I use Discord, usually either the OSR server or the DIYRPG one (which features an incredible 24/7 Gygaxian Democracy mill). That one is still semi-private, so I won’t be posting a link. I enjoy having long-form discussion and informal chat on two separate platforms. The /r/rpg subreddit is good for getting the word out about new products but not so great for discussions. The range of assumptions and play-styles is vast, so you inevitably have to restart from ground zero explaining your approach every time you get into a discussion. The OSR subreddit is more focused but it’s never really felt like home. The brand new artpunk subreddit (not sure if it’s open to the public yet) looks to be the place to talk to the NeOSR/Adventure Game/Hipster DnD crowd, so I check in there periodically, but at the moment it looks like its biggest use will be to post the best new blog posts. I’ve been posting more on Twitter recently, but that’s mostly to keep my Questing Beast followers updated on what’s going on with me and to reshare other OSR posts. 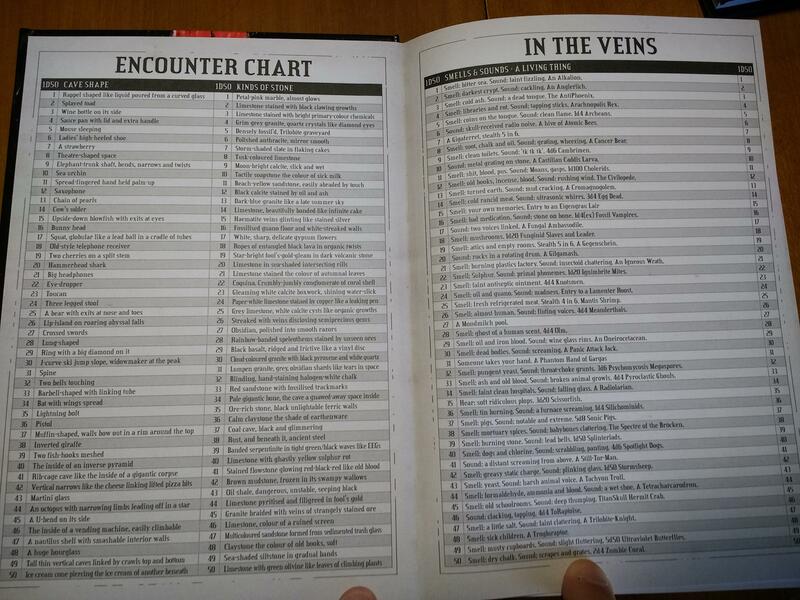 There isn’t a lot of OSR conversion on Twitter and overall I think that’s fine. It’s a really anxious, high-strung platform. Conclusion: BACK TO THE BLOGS! Get Inoreader or Feedly up and running, find a post you enjoy, write a response, and tell the original poster about it. If you want to contact me directly, my email is questingmaps at gmail. Here’s a fun dice pool system. I’ve tested it and it works fine. There was a discussion about it at one point on Michael Prescott’s G+ feed, I think, but now that that’s going away I want to preserve it somewhere. Someone else (maybe Michael) started calling it Milton dice so now that’s what it’s called. Your attributes and your skills give you a number of d6s to roll. The GM sets a target number to hit. If your total is equal or greater than the target number, then you succeed. What’s cool about this system? By only counting 1s, 2s, and 3s, each die has an average result of 1. This is because 1+2+3=6 and there are six sides on a die. It makes things really easy to calculate. If I’m rolling 5 dice, then my average result is going to be 5. Likewise, setting target numbers is easy. A TN of 5 will probably be hit by a character rolling that many dice. It has a pleasing transparency that a lot of dice pool systems lack, as Luka pointed out. The odds are a little funky in the 1 or 2 dice range, but it evens out nicely after that. You only have to add up 1s, 2s, and 3s, which makes the addition really fast. You can distribute 6 points around a d6 in other ways, like make 1 and 2 be worth 0, 3 and 4 be worth 1, and 5 and 6 be worth 2, but that gets confusing without custom dice. This uses the pips the dice already have. 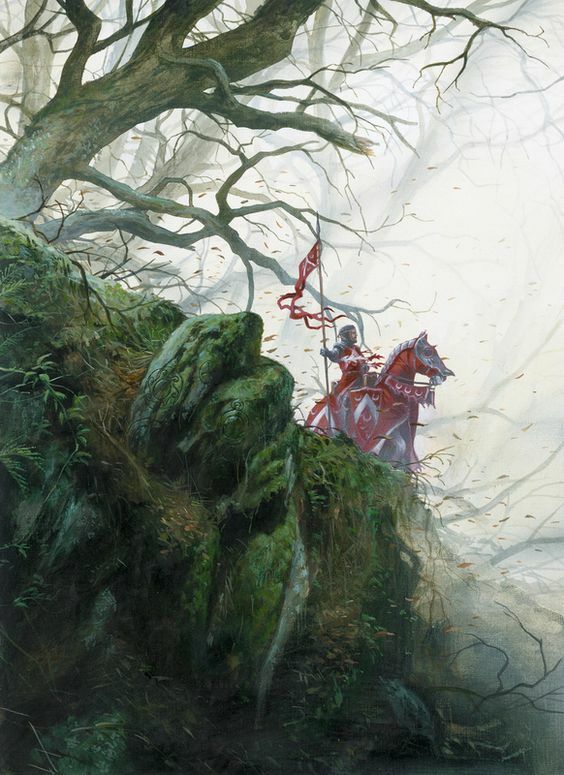 OSR Game: The term OSR often implies that the game is compatible with early DnD, which is often not the case for what I play and something I don’t really care about. Of course, to many people OSR means a style of play, but the term itself doesn’t really give you any indication of what that is. There’s too many steps from saying the term to getting someone to understand exactly what I mean by it. D&D: Too imprecise and doesn’t exactly capture the kind of game I want, especially given the variety of ways the people play it now. DIY Game: While I’m a big believer in DIY, it again doesn’t cover the style of play, only how people interact with it. There’s lots of people hacking games apart and reassembling them, but that’s no guarantee that I’ll like it. Adventure Game: The term “Adventure” does a lot of heavy lifting for a single word, and covers the vast majority of what I enjoy. It implies authentic peril and the possibility of loss. It implies strangeness, travel, the unexpected, and the confusing. It implies variety and an episodic structure, a picaresque rather than a novel. It implies cleverness, ingenuity, and cunning rather than a bloody slog. It implies characters like Conan, Luke Skywalker, Elric, Hellboy or Fafrd. It’s short, simple, and isn’t obscure. Episodic-high-stakes-open-ended-lateral-problem-solving-fantasy-game might be more accurate, but good luck with that catching on. It evokes (in my head) a game that’s simple, unpretentious, and focused on fun at the table. The argument over what to call the experimental, non-traditional side of the OSR is a bit silly, but good name goes a long way, and a clearer label than “OSR” for what we do here could make a big difference as we move into the post G+ phase of the movement, especially since books from this scene are finally starting to capture the public eye in a big way. 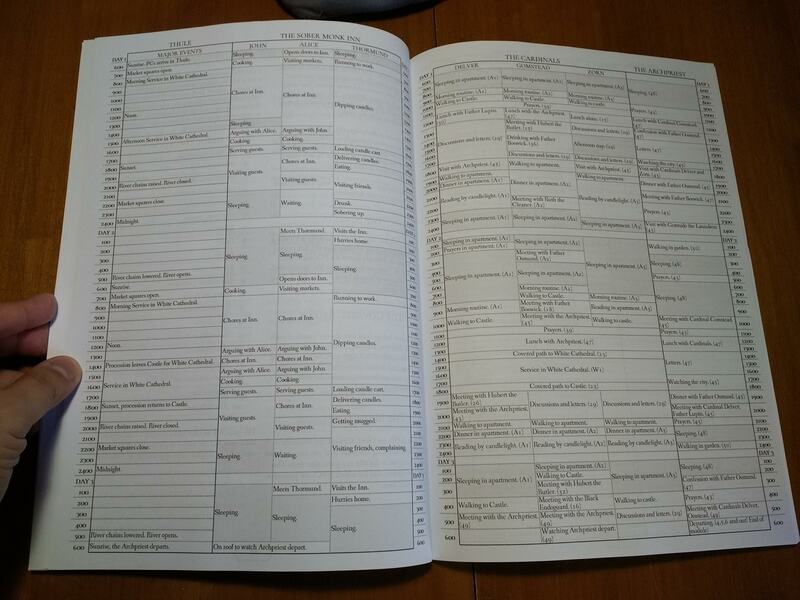 More and more books in the OSR have been making layout and information design a priority, in particular the “control panel” format that puts all of the relevant information from a single topic on a single page (or two page spread). It’s a term I first used on my video review of B/X essentials, but it seems to have hit a chord. 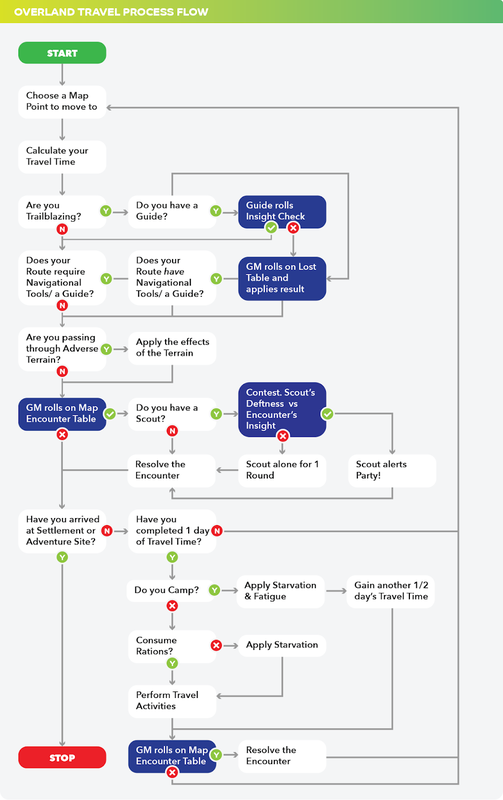 Visuals often take priority, with flowcharts and diagrams replacing traditional text, in order to facilitate faster absorption of the information. I’ve put a bunch of examples below. 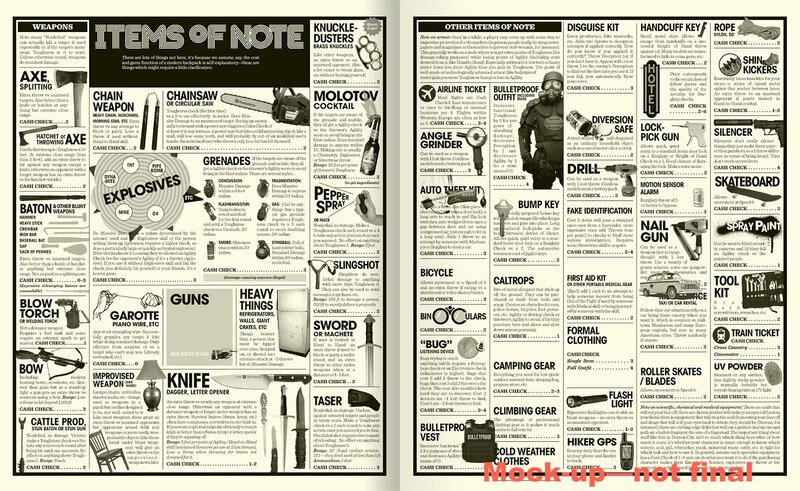 It got me wondering whether you could make an entire RPG in the form of cardstock handouts, somewhere between A4 and A5 sized. 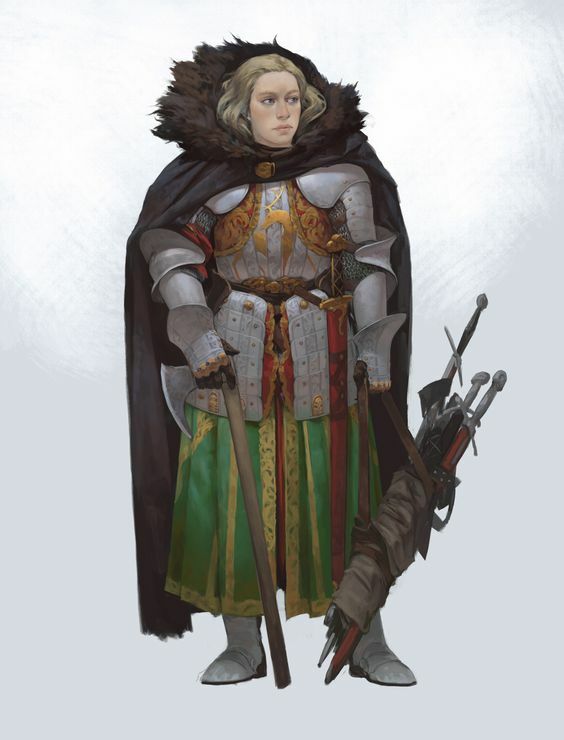 Player wants to play a wizard? Hand him the card with the magic rules and the card with the spell list. Going exploring on hex C12? The DM pulls out the card for that hex and places it behind the screen. 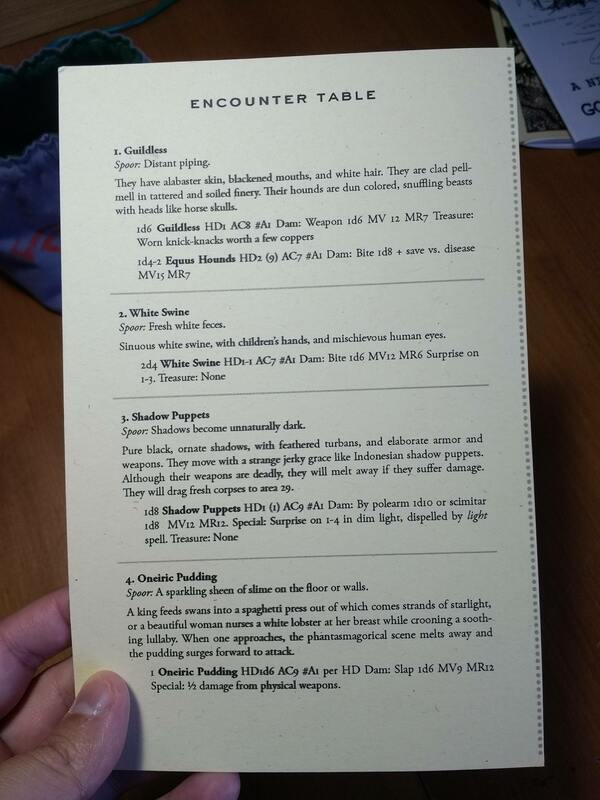 Going shopping and need to see what goods are available at a high-end potion shop? Pull out that card and put it in the middle of the table. Goblin Punch’s essay on OSR-style challenges was the thing that really solidified in my mind what it was that I loved about OSR games. Probably the Hot Springs Island books. They aren’t perfect, but they take so many advances that the OSR has made over the last decade and wrap it all up in one place. The one that I’ve used the most is probably Shields Shall Be Splintered. I don’t remember. I most likely stumbled onto blogs like Last Gasp, PDnDwPS, and Jeff’s Game Blog while looking for ways to reinvigorate my RPG games. The links to wisdom, hands down. The most important attributes of a GM are speed, impartiality, and decisiveness. The one I probably had the most fun with was the Faserip Marvel system. I like having my problem solving skills challenges while in weird and unpredictable situations. 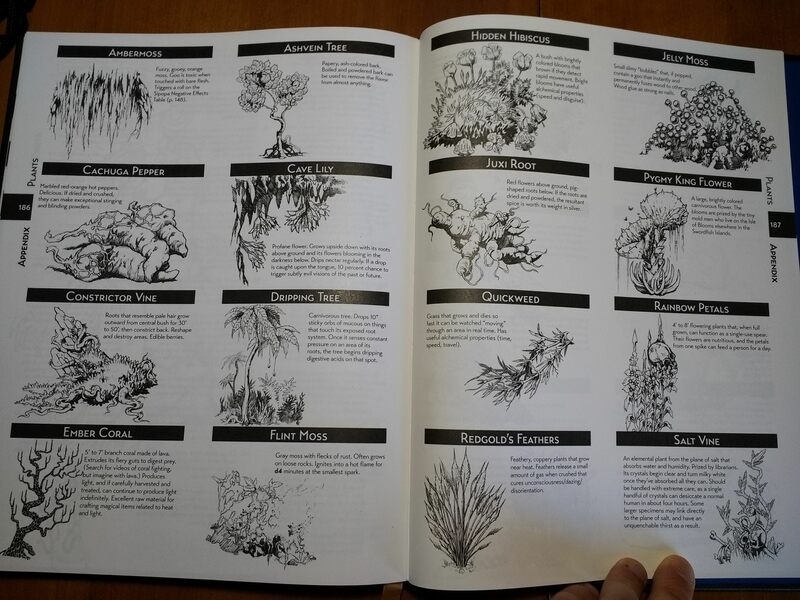 I’m also a sucker for great worldbuilding, and no one does that better than the OSR. Troika! is a planescapesque fever dream of wonderfully flavorful classes and a distinctly British sense of humor. A Thousand Thousand Islands has some of the best writing and art I’ve ever seen in an RPG product, and details a super-refreshing non-western setting. I’m going to say Last Gasp Grimoire, but I try to never miss a post from Necropraxis, Goblin Punch, False Machine, and Cave Girl’s Game Stuff. Maze Rats, currently game of the month on Reddit. 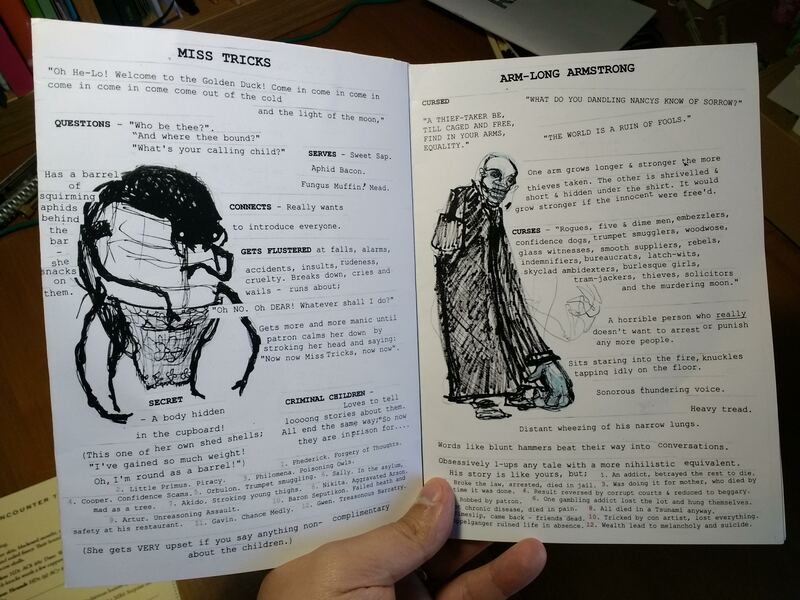 You get a complete OSR game and toolkit in a single pamphlet you can print out at home. I needed a game I could hand out to my 5th grade players, so I made it. Tomb of the Serpent Kings using Knave. What’s there to care about? Posted on September 9, 2018 1 Comment on Knave 1.0 is here! The finished version of Knave has finally arrived! High compatibility with OSR games. If you have a library of OSR bestiaries, adventure and spell books, little or no conversion is needed to use them with Knave. Fast to teach, easy to run. 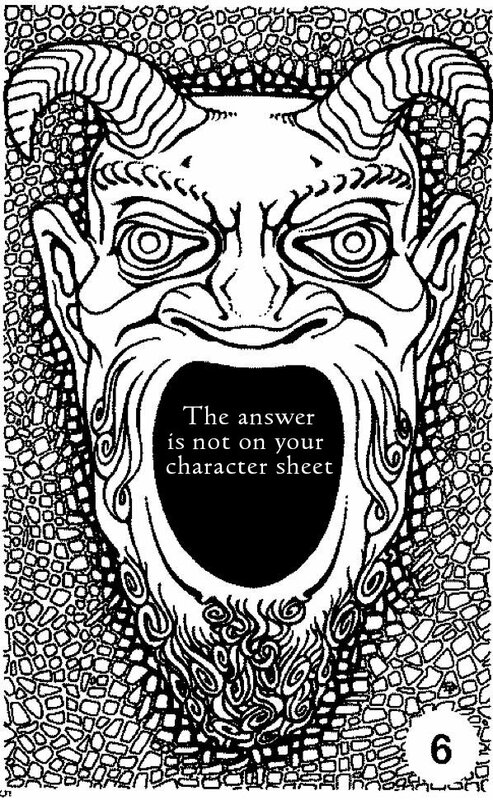 If you are introducing a group of new players to OSR games, Knave allows them to make characters and understand all the rules in minutes. No classes. Every PC is a Knave, a tomb-raiding, adventure-seeking ne’er-do-well who wields a spell book just as easily as a blade. This is an ideal system for players who like to switch up their character’s focus from time to time and don’t like being pigeonholed. A PC’s role in the party is determined largely by the equipment they carry. Abilities are king. 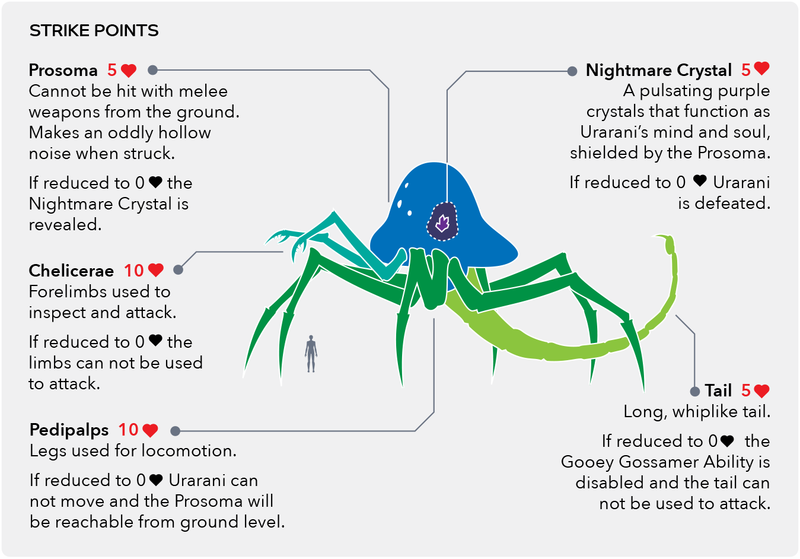 All d20 rolls use the six standard abilities. The way that ability scores and bonuses work has also been cleaned up, rationalized, and made consistent with how other systems like armor work. Optional player-facing rolls. Knave easily accommodates referees who want the players to do all the rolling. Switching between the traditional shared-rolling model and players-only rolling can be done effortlessly on the fly. Copper standard. Knave assumes that the common unit of currency is the copper penny. All item prices use this denomination and approximate actual medieval prices. A list of 100 level-less spells. Creative Commons Attribution 4.0 International License: You are free to share and adapt this material for any purpose, including commercially, as long as you give attribution. Designer commentary. 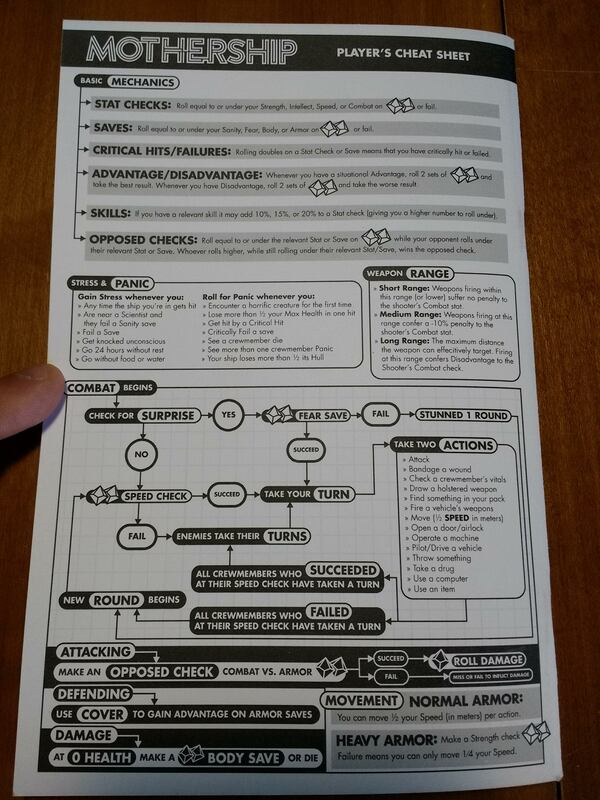 The rules include designer comments explaining why rules were written the way they were, to aid in hacking the game. Source text. 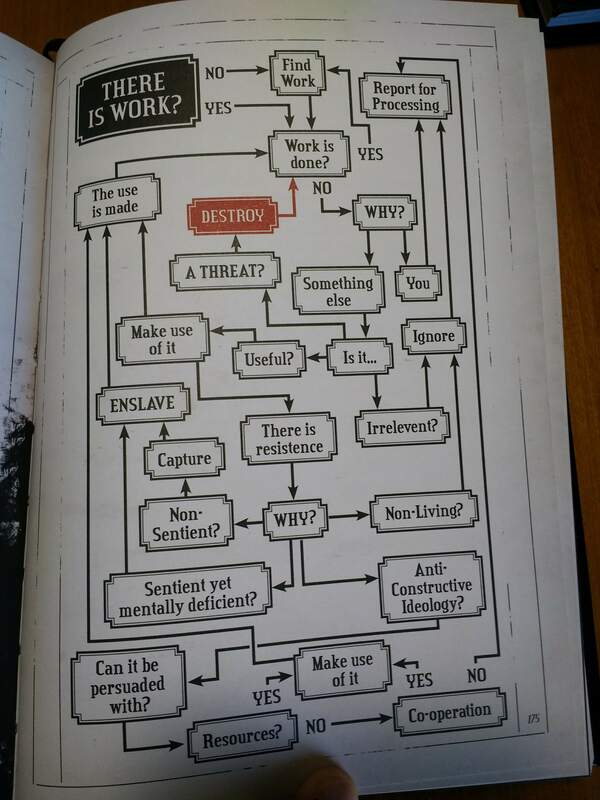 When you purchase this game, you also get a copy of the Word document I used to make it. 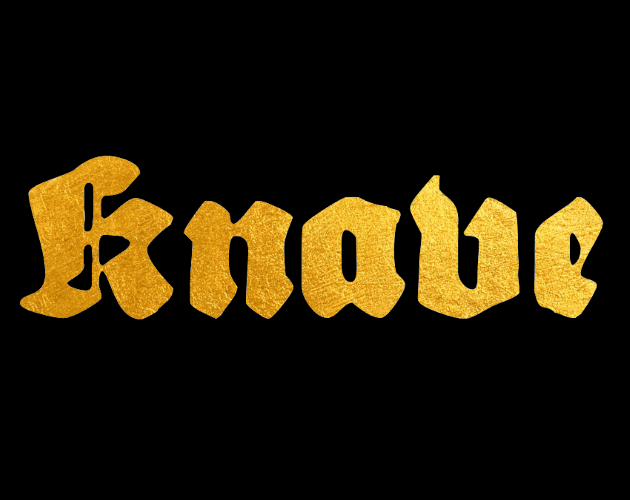 Edit it to create your own custom Knave ruleset! (You will need the free fonts Crimson Text and Sebaldus-Gotisch to display it properly). 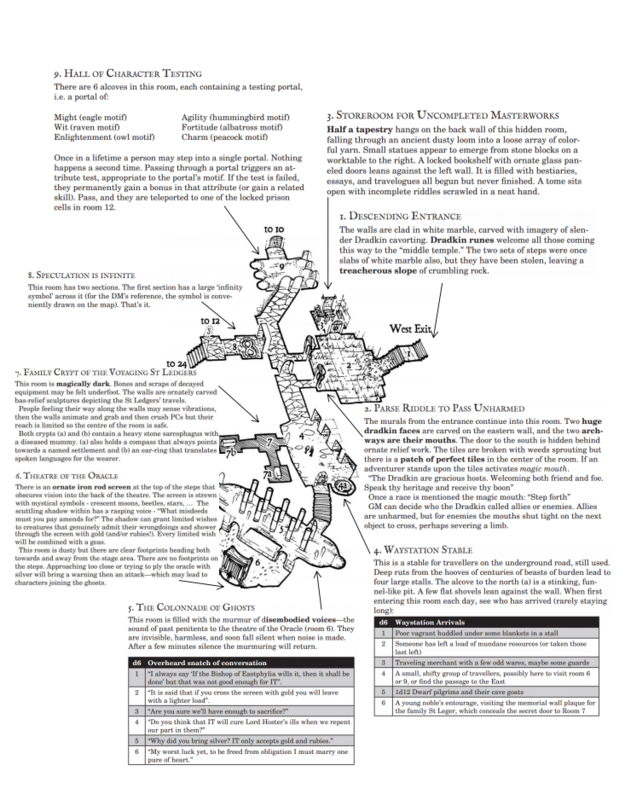 Version 0.2 of my classless OSR houserules is now up for my supporters on Patreon! 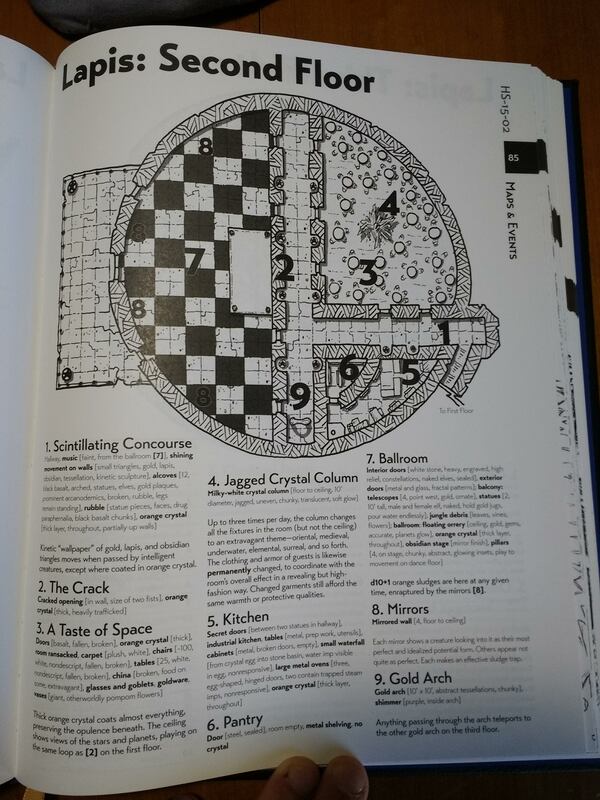 Michael Prescott, 2-page dungeon-maker extraordinaire, put out a crowd-sourced dungeon recently called the Halls Untoward. It’s pay-what-you-want on Drive Thru RPG and it’s really good, especially his fantastic illustrations. I’m planning on running it for my 5th-graders, so as usual I’m doing some reformatting. 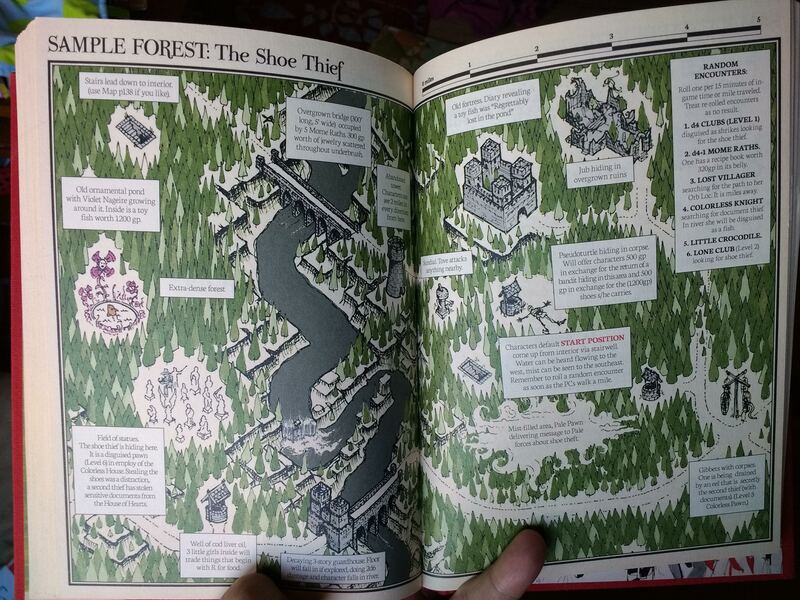 I’ve taken the minimaps of each part of the dungeon, cut them out, stuck them in the middle of a letter-sized page, and then cut out each room description and pasted them right next to each room. 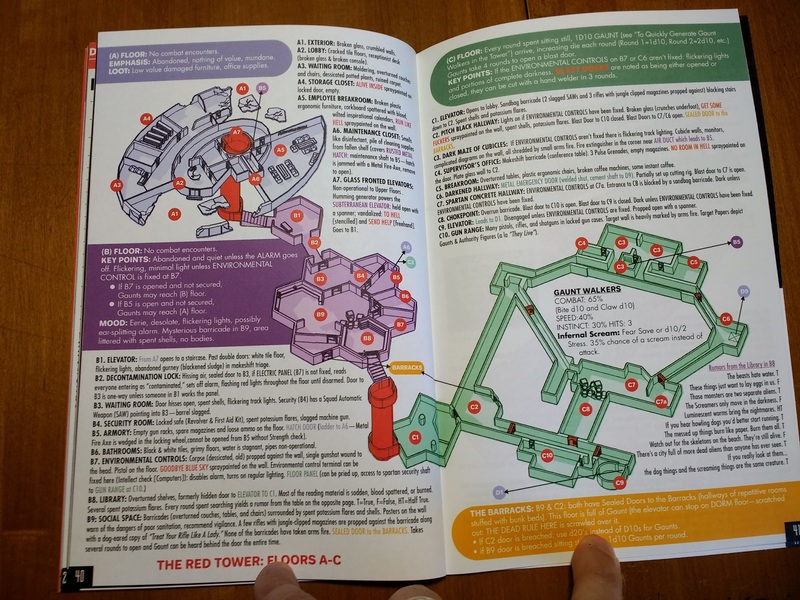 The original book is already pretty easy to use thanks to the minimaps, but the larger real estate of a letter page allows for zero information loss while eliminating page flipping and allowing for immediate visualization of each room’s layout and surroundings. Check it out. I’ve been running Maze Rats at my 5th grade after-school club for a while now, but the main problem is that it’s not very compatible with OSR monsters, spells, and mechanics in general. So what I’m looking at now is a way to make something as fast, simple and intuitive as Maze Rats that will work pretty seamlessly with my gaming bookshelf. I’m calling it Knave until I think of something better. The first problem: how to make it classless? It needs to be classless because I don’t have time to teach each kid how a different class works every week. Things need to be as obvious as possible. My solution right now is to tie everything into encumbrance slots. You have as many slots as you have Strength, but everything that might make you more martial or more arcane are just items. (All classes lie on the martial/arcane spectrum, and don’t tell me I’ve forgotten rogues, all adventurers are rogues). So if you want to be more of a fighter, you pick up more fighty things: better armor and weapons. Armor runs from AC 12 to 16, and takes up 1-5 encumbrance slots. Shields and helmets (+1 AC each) also take up a slot. 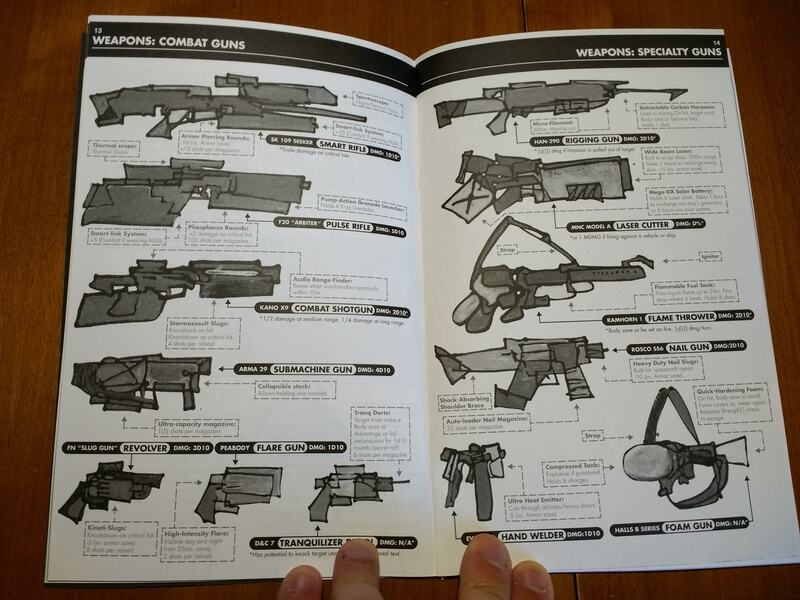 Weapons deal d6, d8 or d10 damage and take up 1, 2 or 3 slots. So a fighter that’s really decked out for war can easily fill 8-12 slots, especially if they’re hauling around a few spare weapons. I’ve solved the wizard problem by just making encumbrance slots the same thing as spell slots. Each spell is now a spell book that can be cast once per day, and which takes up 1 encumbrance slot. PCs can only cast spells of their level or lower (it’s always bugged the hell out of me how these don’t align in normal D&D), and PC level only goes up to 10. You never get new spell books as a result of leveling up; you have to find them like any other item, and the high level ones are incredibly rare. PCs are flatly incapable of creating or copying the spells in spell books. It’s a lost art. This way magic users have to claw their way to every scrap of magic they have, be constantly on the lookout for people trying to steal their grimoires, and have to wade into battle flipping through the mobile library they have hanging off them. 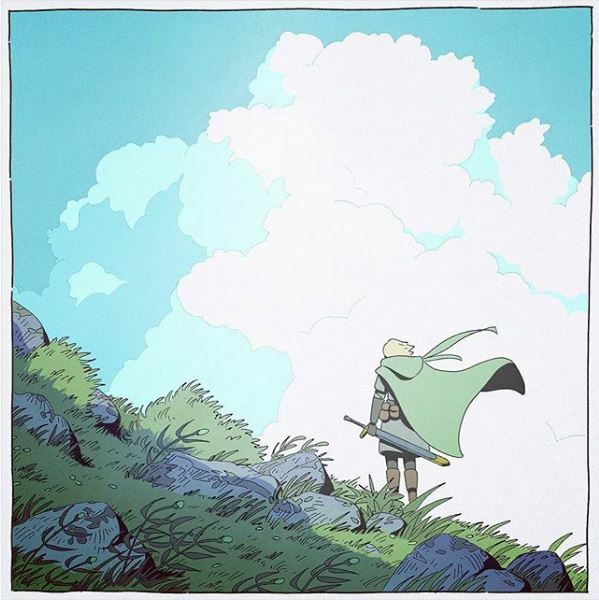 An early draft of Knave is out now for my supporters over on Patreon.